Srimad Bhagavatam is not merely a book. It is said to be the very Self of the Lord. Just as the syllable Omkar is the sound form of the Lord, Bhagavatam is said to be the 'word-form' (Vanmayi Murti) of the Lord. Hence, to know Bhagavatam is to know the essential nature of the Lord (Bhagavan). 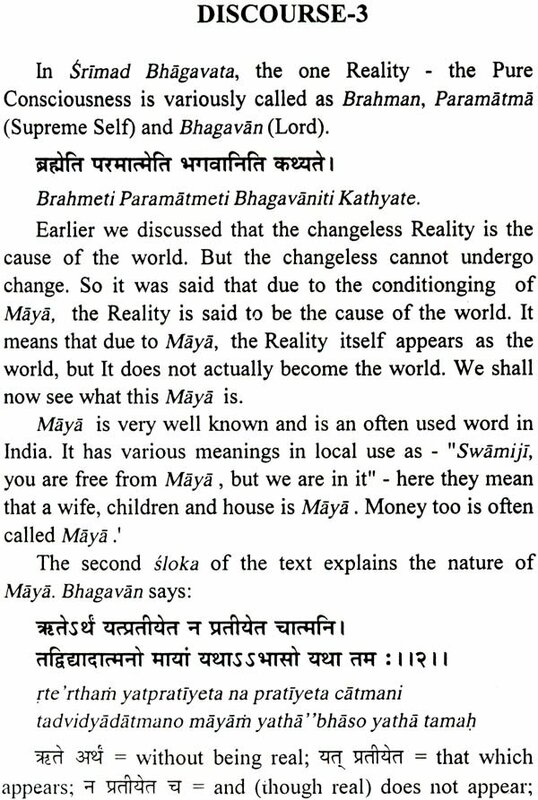 One who has Bhaga or Bhagya (fortune) is Bhagavan. The six Bhagas are  Righteousness (Dharma), knowledge (Jnana), Dispassion (Vairagya), Lordship (Aisvarya), Fame (Yasa) and Wealth (Sri). While we possess a little of one or more of these six, Bhagavan wields them all in absolute and in infinite measure. Generally we follow the path of righteousness guided by fear or failure and give up the same when temptations are unsurmountable. One who follows righteousness even if faced with death is indeed a rare one. The Lord takes a form (avatar) only to protect such noble souls. 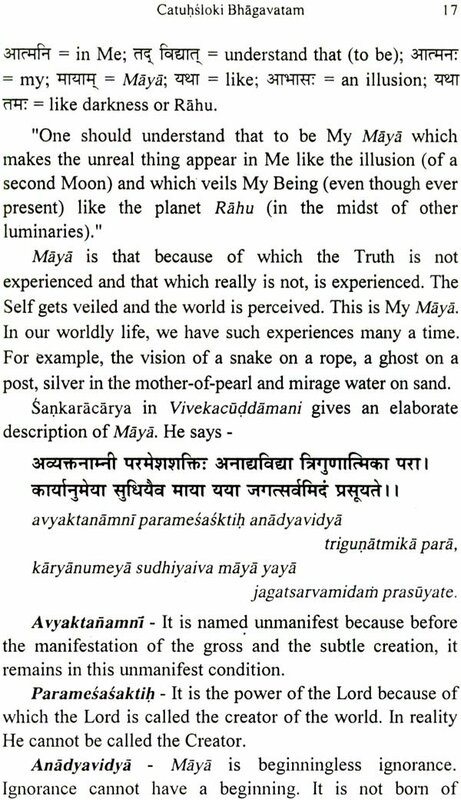 Dharmah projjhitakaitavo' tra paramo nirmatsaranam satam vedyam vastavamatra vastusivadam tapatrayonmulanam. srimad bhagavate mahamunikrte kim va parairisvarah sadyo hrdyavarudhyate tra krtibhih susrusubhistatksanat. Srimad Bhagavata, composed by the great Sage Veda Vyasa, expounds the Supreme Dharma. It talks of that essential Truth, knowing which all sins are destroyed. Its uniqueness is in that, merely by listening to it, the Lord gets (caught up as it were) established in the heart of the devotee. Hence, we conclude that the text essentially aims at creating devotion or supreme love for the Lord. The above verse has used the world 'here' (atra) thrice. This indicates that the Supreme Dharma, Knowledge and Devotion propounded here are not found, as clearly, elsewhere in any other text.